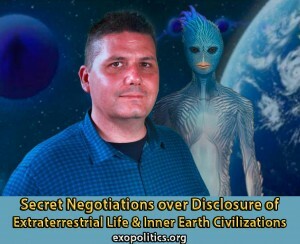 In today’s episode of Cosmic Disclosure, whistleblower Corey Goode describes the discussions and dynamics of a meeting he claims to have attended at a hidden space base in the Kuiper Asteroid Belt where a plan for disclosing the existence of extraterrestrial life and secret space programs was being decided. If Goode’s stunning revelations are accurate, as available evidence so far suggests, then humanity is beginning to witness a highly cordinated disclosure process, only recently approved by select clandestine organizations. Goode claims that he was taken to the base for the purpose of debriefing a Secret Space Programs (SSP) Alliance Council meeting about his September 2015 visit to an ancient Inner Earth library. In earlier Cosmic Disclosure episodes, Goode revealed that he was taken to the Inner Earth library by a High Priestess called “Kaaree” who pointed out some of its contents along with some startling revelations. Among these was that Zecharia Sitchin had used contrived information in his Earth Chronicles series of books. This did not appear to be a surprise to the SSP Alliance Council, presumably because they had access to the same data base found on the smart glass pads from which Goode says he first learned about Sitchin’s fabricated information during his space program service from 1987 to 2007. There were approximately 60 Council members in attendance during Goode’s debriefing, a number of whom are antagonistic to Goode’s continued involvement as a delegate for the Sphere Being Alliance of extraterrestrials, who appointed him to that position in March 2015. Some Council members believed Goode was leveraging his role with the Sphere Begin Alliance to gain greater influence over Council deliberations. The SSP Alliance Council has been conducting secret negotiations with an “Earth Alliance”, over the extent to which a large cache of documents should be released that reveals the existence of secret space programs and extraterrestrials, the history of Cabal/Illuminati policies in controlling such information, and crimes committed by the Cabal/Illuminati. Goode pointed out that while the SSP Alliance Council and the Earth Alliance have the same goal – full disclosure and release of advanced technologies – they have very different agendas over how to achieve this aim. Many in the Earth Alliance want to spread out disclosure of the truth over a 100 year period, and in the meantime allow China and other Eastern nations to become the new hubs of international business and high finance. This has been exemplified very recently by a new whistleblower coming forward who has given a detailed report to the MUFON organization backed up by an extensive collection of documents from his/her time serving with the U.S. Navy. 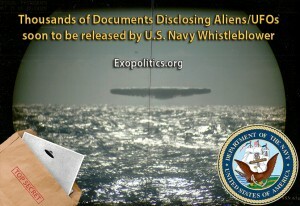 MUFON is expected to release a report soon with their evaluation of the whistleblower’s testimony and documents. In December 2015, William Tompkins (now 92) released his autobiography detailing his involvement in a secret U.S. Navy effort to build a fleet of spacecraft that would eventually be called Solar Warden. 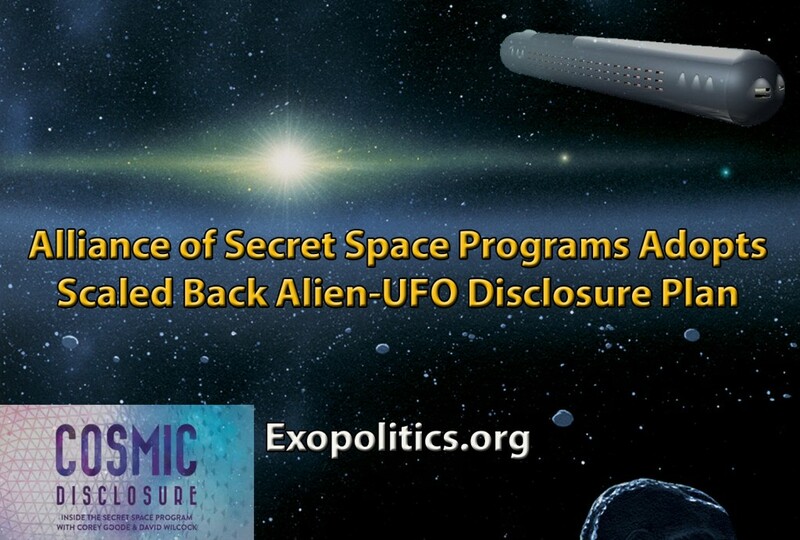 Tompkin’s testimony is bolstered by many documents which he has released with the support of key officials in the U.S. Navy familiar with the Solar Warden space program.